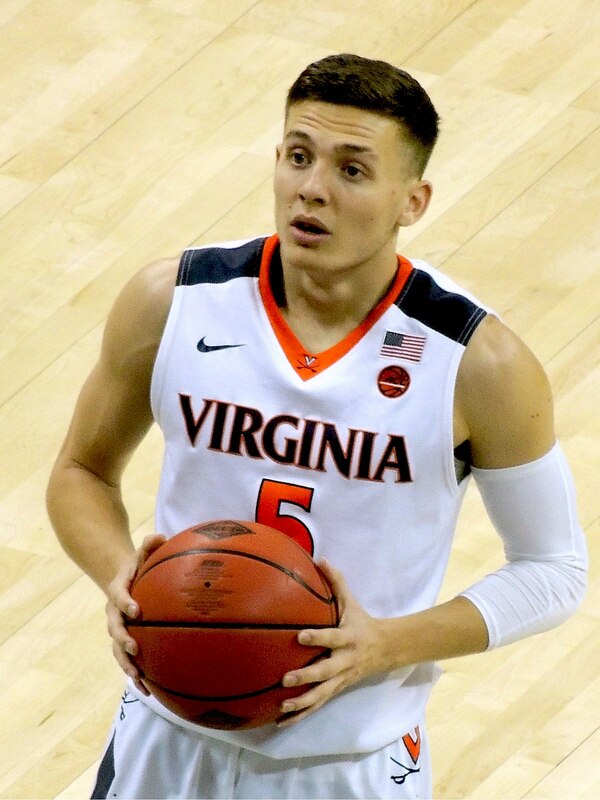 University of Virginia basketball guard Kyle Guy was remarking on the 42 point performance of Carsen Edwards of Purdue, even though Purdue lost. This is a brilliant mashup of “hang (one’s) head” (express shame or contrition) and “hang (one’s) hat on (something)” (depend or rely on something). “Hang” is in both expressions and “head” and “hat” are similar sounding and visually close. A big thanks to Tom Justice for hearing this one. Wahoowa!